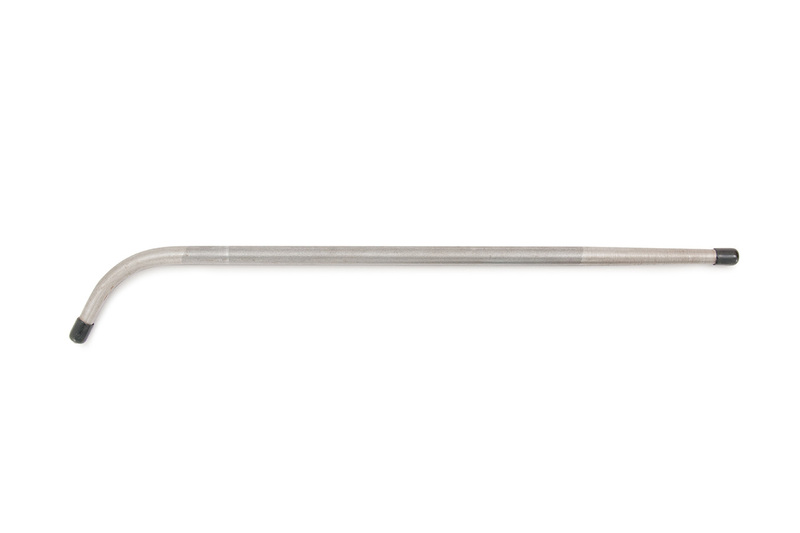 A double ended, curved and tapered rod, 18" (457mm) long and 1/2" (12.7mm) in diameter. Intended to remove dents in the sax body bow by inserting balls through the Eb or C tone holes and then gently prying up dents, low spots or brace flanges with the lever action hand or in a vise. Use the N80CS set of balls and N16S guides.